Whether you love performing for friends or you're an actively involved member of a local theater group, acting is a fun and fulfilling hobby. You don't have to be a professional with an agent to become an actor. You may simply like doing it in your spare time for fun. Many people enjoy acting as a hobby outside of their everyday jobs. From voice-overs for commercials to local theater and comedy troupes, acting is a fantastic way to make new friends and gain confidence. If you're considering taking up acting as a hobby, there are a few helpful tips you can try including practicing some simple at-home exercises that will have you standing on stage in front of the crowd in no time. 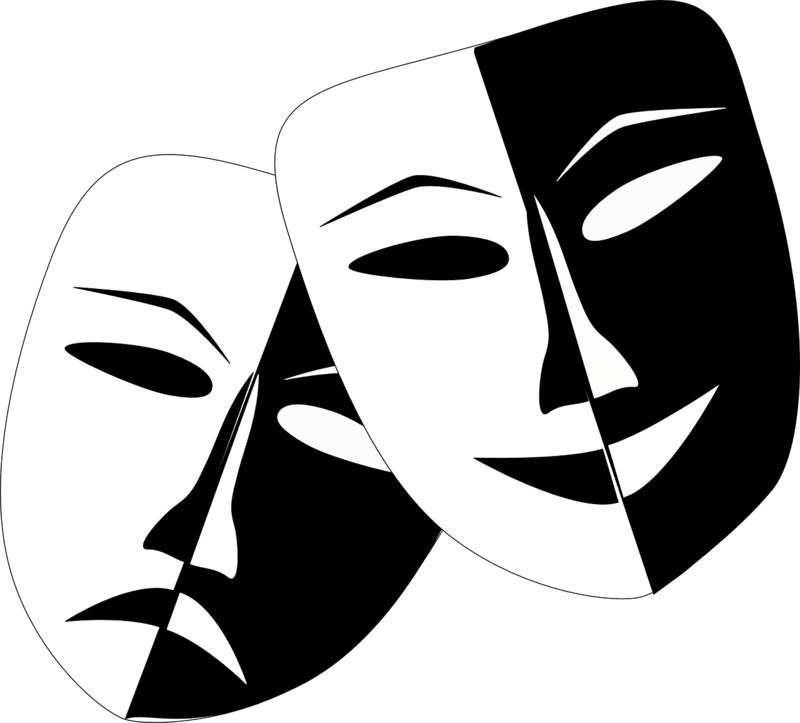 The practice of acting goes as far back as 534 BC when a man by the name of Thespis first stepped onto the stage. The term thespian, meaning actor/actress or that relating to theater and drama, comes from his name, and his stint performing plays is known as the first officially recorded instance of an actor performing in front of a live audience. Over the centuries, acting became a popular means of entertainment ranging from Shakespeare's famous plays to dramatized Biblical scenes that were acted out during the Middle Ages. The original format of acting only took place in theaters and outdoor amphitheaters mainly because it was the easiest, most effective way to reach the largest amount of people at the time. Acting is essentially taking on the role and character of a different person for the purpose of evoking emotions, telling a story, and providing entertainment to others. Once the silent film era took hold, acting became a much more intense process. Pioneers like Charlie Chaplin relied completely on body language and facial expressions to convey thoughts and emotions since, as there was no audio being produced at that time. Radio acting is another popular style of mass entertainment. Listeners would gather around their radios and listen to radio actors read dramatic works. These unique broadcasts were often referred to as "radio dramas." Once sound was developed for film, actors had to learn how to translate their roles into believable characters by combining tone of voice with the costumes they wore and their unique facial expressions. This method also transferred onto the television screen, revolutionizing the way people viewed acting. Even if you have no experience, acting is something you can always try. Many local theaters provide classes for aspiring actors. You may also find classes through your local community college or university. If you're only planning to act as a hobby, it's always a good idea to remember that you won't need anything extra like an agent or professional headshots. Instead, keep in mind that acting is also a fun exercise that gets you out of your comfort zone and temporarily transforms you into someone else. Talk with local theater groups to find out if they offer classes or find out if you might be able to sit in on a few rehearsals just to get an idea of how they practice the art and craft of acting. Aside from classes, there are simple at-home exercises you can use to practice acting. Find a script that you like and practice reading it aloud. Record yourself as you speak, and then listen carefully as you play it back, taking notes on where you think you might improve. Keep practicing until you find the pace, tone, and style that you feel most confident in. If you have other friends interested in acting, invite them to join you and assign each person a different role as you read the script aloud. This is an excellent way to learn how to feed off other actors and determine how to respond to various words and emotions while playing your role. There are also lots of fun games you can try that are designed to help improve your acting skills. With a little bit of practice, you'll not only have fun but you'll also improve on your personal acting style and stage presence.